Leo Boyd was born in Hastings and studied Fine Art in Context in Bristol before moving to Ireland in the year 2000. In Bristol Leo worked a lot with sequential and comic art which was informed by the then underground graffiti movement of which Banksy was at the forefront. Having studied and lived in the South of Ireland for 12 years Leo moved to Belfast where he took up screen printing full time. 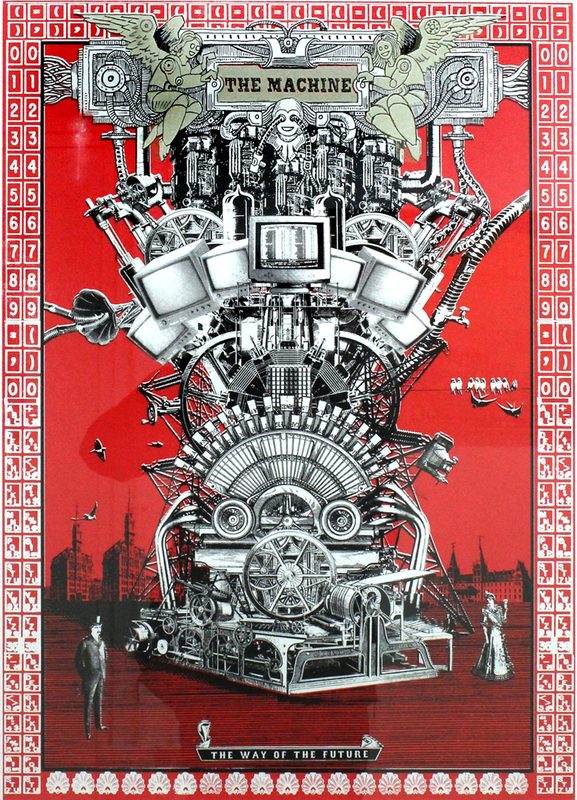 His work is inspired by city architecture, comic art, graffiti, B-movie posters and vintage propaganda. Mashing up these visual forms he creates satirical works that blend images of the past with contemporary urban living.